It doesn't matter what size space you are working with, Jessica has a gift wrapping station that will fit your needs. And even better, they are all portable. 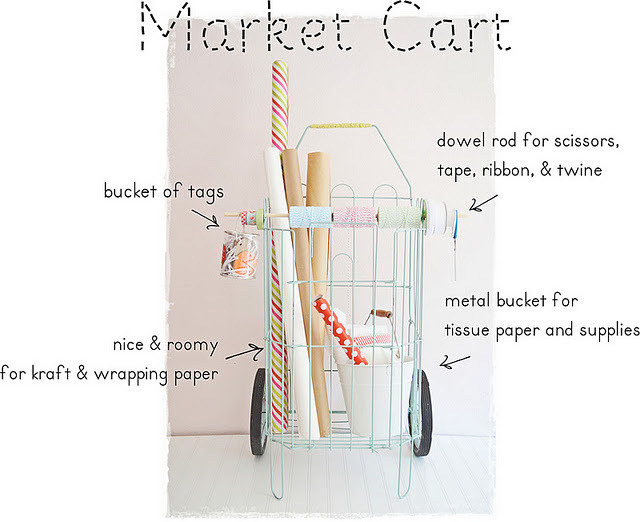 Her three portable gift wrapping stations are made with a market cart, a a basket, and a wastebasket. Any of them will make your gift wrapping smoother this holiday season. You can check out all three gift wrap stations over at Two Shades of Pink.